“We don’t need a New Michelangelo – there was nothing wrong with the old”, so said the late Professor James Beck, founder in 1992 of ArtWatch International. 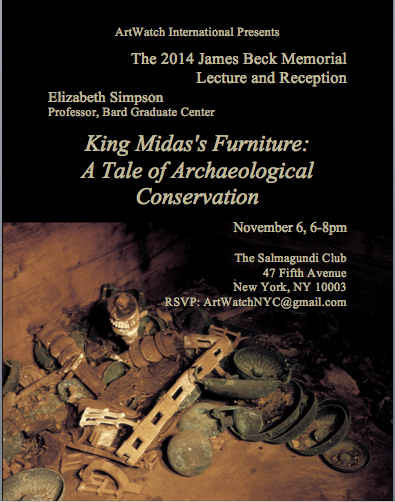 This year’s memorial lecture is to be given on November 6th in New York by Professor Elizabeth Simpson of the Bard Graduate Center, New York. This entry was posted on August 10, 2014. It was filed under news.